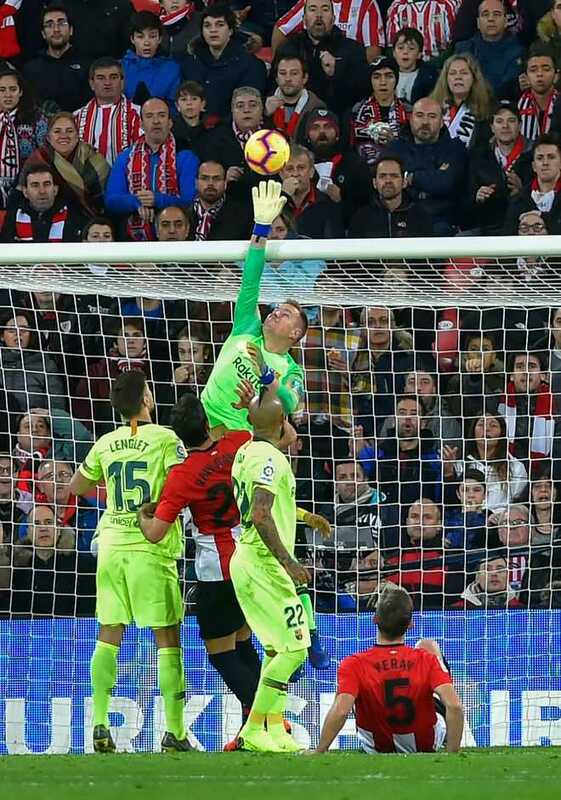 La Liga leaders Barcelona handed Real Madrid more hope in the title race as they drew 0-0 at Athletic Bilbao, only avoiding defeat thanks to some outstanding saves by Marc-Andre ter Stegen. The Germany keeper twice thwarted forward Inaki Williams and kept out a stinging drive from Markel Susaeta in an intense and entertaining game in which the champions came under heavy pressure throughout. With Lionel Messi hampered by a recent thigh problem and left back Jordi Alba suspended, Barca were far from their usual best.